Using Point Hotspots to deliver contextual content is a great way to make your Virtual Reality tours more interactive and provide an enhanced experience for the viewer. However a point hotspot is as its name implies a ‘point’ and in some projects you may want to highlight and identify particular objects by their shape. You can use Polygon Hotspots to define an area (rather than a single point) of interactivity. In the example below I’ve created polygon hotspots for the engine and tail of the old C35 - Skytrooper plane. When you mouseover the two areas in the panorama, the engine and the tail, they are highlighted and show a tooltip. Clicking on the hotspot opens an information window with content relevant to the selection. 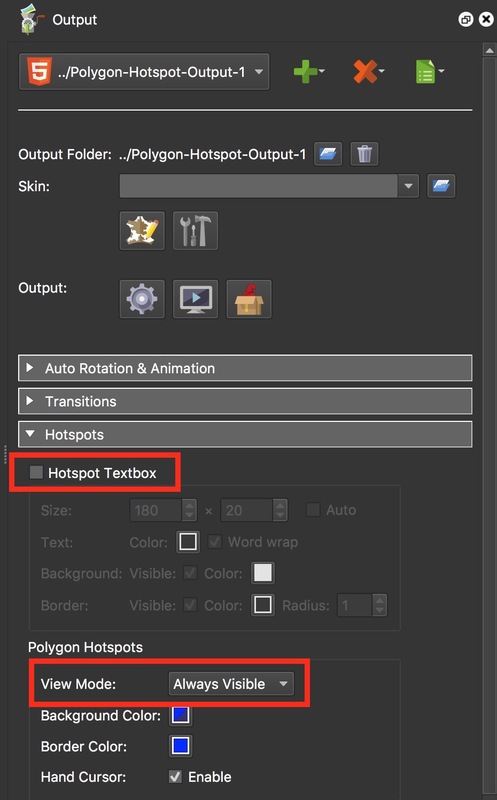 This tutorial doesn't cover all of the ins and outs of Polygon Hotspots rather it shows how a single skin component can be used in conjunction with multiple polygon hotspots providing individual popup content for each polygon hotspot. 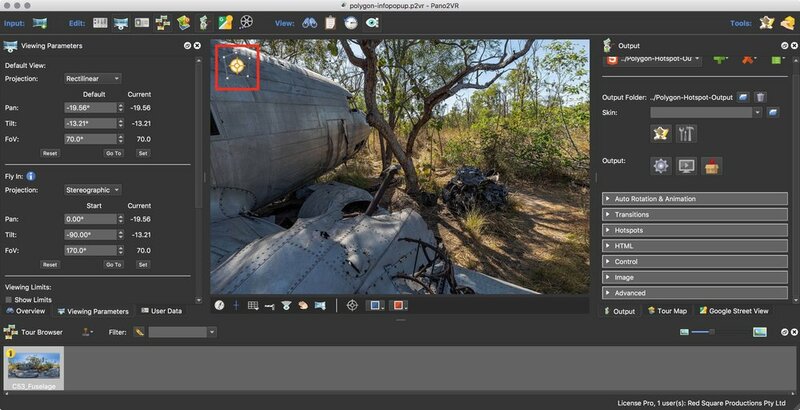 A basic understanding of Pano2VR is required to complete this tutorial. You can use your own .html files or download some include files here. Note: If this was a polygon opening a URL or Tour Node the next step would be to set the parameters of our Hotspot Textbox and appearance of our Polygon Hotspots. Due to an issue of ‘sticky tooltips’ when using skin elements in conjunction with the polygon hotspot we need to develop skin elements to compensate for the issue. 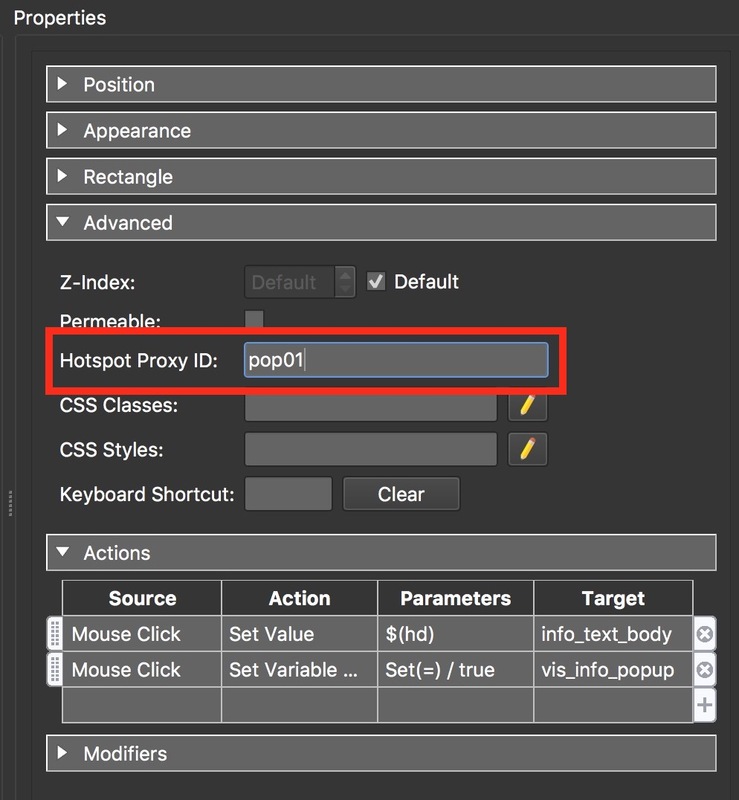 You can see the problem in the example below, when you mouseover the polygon, configured using the Output > Hotspots > Hotspot Textbox settings, the tooltip is shown. 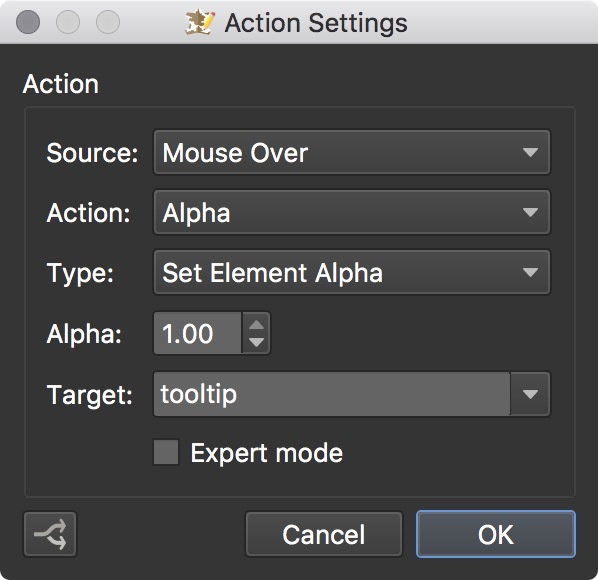 However when you click on the polygon to open the info box the tooltip remains above it until you move the mouse. 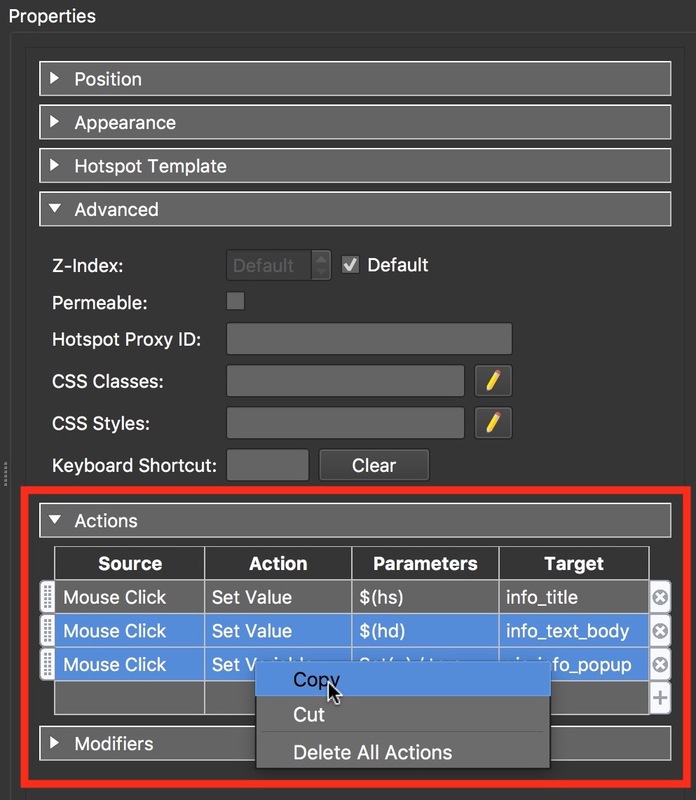 Toward the end of the tutorial we will create a new tooltip in the Skin Editor that provides a work around for the issue. 7. Save the project and select Output: Generate Output to generate a project so we can review the work done to date. It should look similar to the example below. When you mouseover the engine and tail polygon hotspots the cursor changes to the hand icon but the textbox is not displayed. The next step is to add the elements to a skin that will respond to mouse clicks on the polygon hotspots and show the Description information. Note: this element will be used as a Hotspot Proxy and apply actions to the polygons. Note: the final step is to add the textbox for the tooltip when the mouse is over the polygon hotspot. 13. Save the project and select Output: Generate Output to generate a new version of the project. Now when we mouse over the engine the polygon hotspot appears with a tooltip. Clicking on the polygon hotspot hides the tooltip and shows the information popup window. This is only a simple tutorial to show how the polygon hotspot and a component can be connected via the Hotspot Proxy ID. Further refinements can be made to the styling of the text in the Document field, the representation of the poly hotspot in the panorama and the layout and style of the information popup box itself.